Federica and Claudio are fashion/travel bloggers who wanted to celebrate their fifth year together. 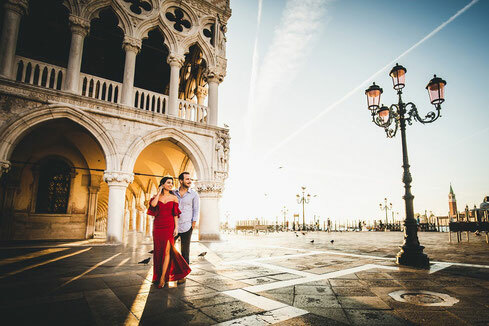 Since Claudio lives in Milan and Federica in Sicily they always see each other in different cities of Italy, but for therir anniversary they chose Venice which is one of the most romantic city in the world! They loved being photographed in the most beautiful spots, it was amazing capturing their love! Being an engagement shooting photgrapher is always a beautiful experience. I love meeting and talking with my clients, i love knowing their story, the different life everyone has. And I’m proud they wanted me as a photographer for a couple shooting in Venice.